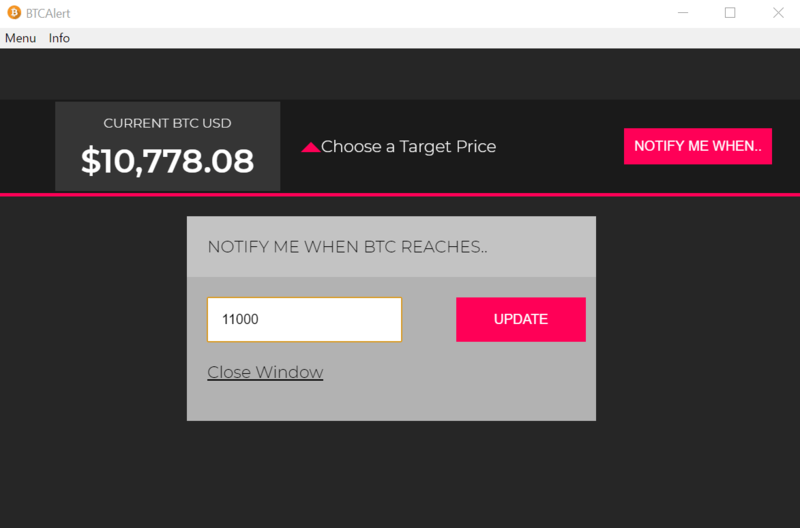 With our Bitcoin Alert app all finished up, it's now time to deploy it so that others can use our app on multiple operating systems (Windows, Mac and Linux). Fortunately, the process of deploying an Electron app is rather straight forward and requires installing a specific package for packaging. The packager uses information such as the name, version, description, etc.. in the package.json file in the root directory. We're also going to create 3 different scripts, each for packaging the app for the 3 different operating systems (Win, Mac and Linux). These scripts were derived from this great tutorial. Also, notice that within each, there's a reference to a graphics file. Since I'm using Windows, I'm going to create the folder and simply copy/paste/rename the /assets/images/btc.png to /assets/icons/win/icon.ico. Once you've updated your package.json file and created the necessary icon files, you're now ready to create a build of your app! If it all goes smoothly, there will be a new folder within your project called release-builds. Inside of it resides a folder with the name of the app, and then all of the app files, including the actual executable (on Windows, at least). Run it to ensure the app works. Here's a look at the project running on my machine (Windows 10) working exactly as it should! Hopefully, you've learned a lot throughout this beginner's course! Going forward, I will be covering intermediate to advanced topics as it pertains to Electron development.